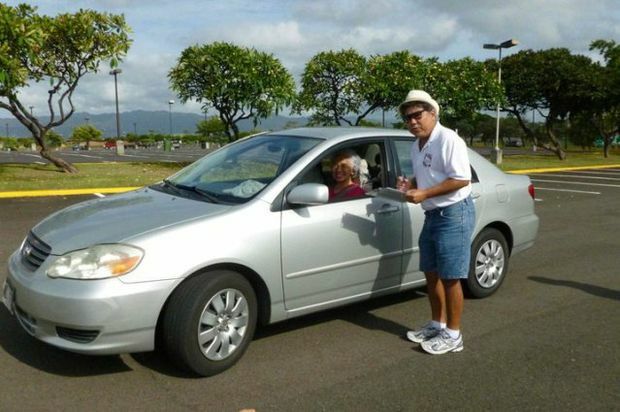 To help older drivers to remain mobile, AAA Hawaii will host a free CarFit® event on Saturday, Oct. 18 at Kaimuki High School. CarFit helps older drivers over 55 learn how the effects of aging can change the way they fit in their vehicle and how their driving can be affected. AAA Hawaii, AARP and the Occupational Therapy Assoc. of Hawaii, who developed CarFit, are hosting the event. Seniors receive free take-home resources and a goody bag. Often, adjusting these components will help seniors drive more comfortably and safely, according to Anita Lorz Villagrana, AAA Hawaii community affairs and traffic safety manager. “The goals of CarFit are to help mature drivers improve the fit of the vehicles to them for safety and comfort and promote conversations among older drivers and families about safe driving and mobility,” said Lorz Villagrana. Copyright © 2019 AAA Hawai'i, LLC. All Rights Reserved. Find a different AAA club. AAA Hawai'i is a member club affiliated with the American Automobile Association (AAA) national federation and serves members in the state of Hawai'i.